A lot has changed for Dylan Malafronte a year after winning the New Jersey PGA Assistant Championship at Canoe Brook last August. The 27-year-old, who is now a Head PGA Professional at Adena Golf and Country Club in the North Florida Section, will be unable to defend his title this year, but said that it was the biggest victory of his playing career. 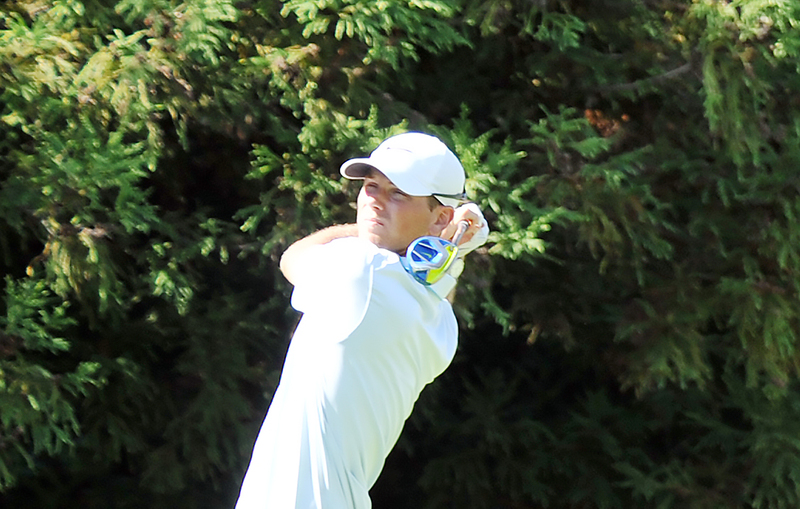 The former PGA Assistant Professional at TPC Jasna Polana finished the 36-hole event at 10-under, four strokes ahead of Upper Montclair’s Tyler Hall. There were challenges before the tournament began for Malafronte. While warming up on the driving range, he had a back spasm on his third range ball. He had doubts whether or not he was going to compete before the event even started. A few holes into competition, Malafronte’s back loosened up, leading him to shoot a morning round 66 at the North Course and a bogey-free 68 in the afternoon on the South Course. It was the first time he ever played a professional round without having a bogey. Malafronte has had other success as a PGA Professional. In 2016, he competed in the PGA Professional Championship and won a pro am event with his former members at TPC Jasna Polana. This tournament serves as a qualifier for the National Assistant PGA Professional Championship, which will be held at PGA Golf Club, Wanamaker Course in Port St. Lucie, Fla, Nov. 9-12. There are six qualifying spots for the New Jersey Section this year. Malafronte finished T19 last season. The only Section Professional to win the national event was in its inaugural year in 1977 by Mike Zack of Baltusrol. Jim Herman, a former assistant at Trump Bedminster, finished as a runner-up when he served in the New Jersey Section in 2007.